Conscious Wednesday brings together spiritual seekers for an evening of mantra music, which is meant to help connect us to the Supreme and create true community. Conscious Wednesday takes place at a beautiful urban farm project just minutes from the Heights. 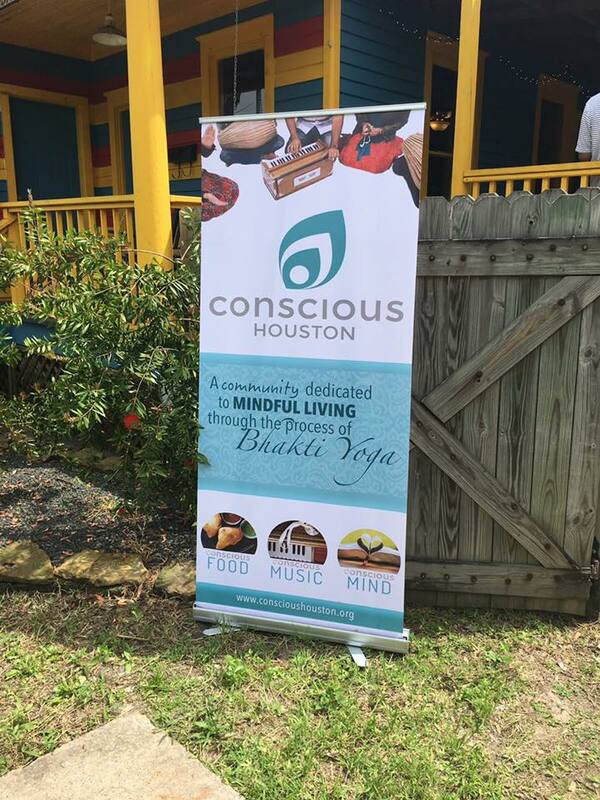 This urban farm setting provides a peaceful atmosphere for people to enjoy good company, sacred music, and delicious vegetarian food from the well-known Govinda's Restaurant in the Heights. This is a donation-based community event and is certainly family-friendly. Starting in January 2018, the event takes place every Wednesday from 7PM-8:30PM.